Antoine Fuqua's "Olympus Has Fallen" delivers all the excitement, action, and suspense that one would expect of a summer blockbuster. 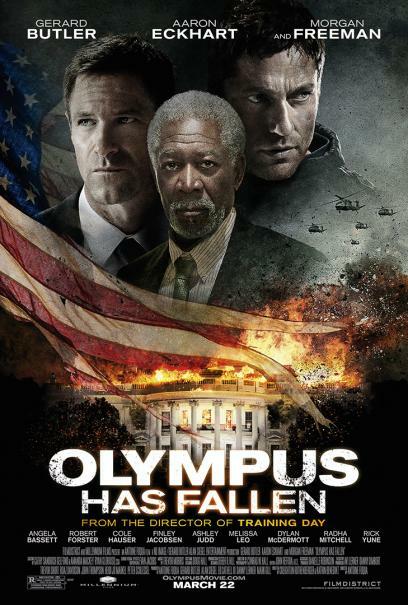 Gerard Butler, Morgan Freeman, and Aaron Eckhart give great performances. Angela Basset and Rick Yune also give solid performances. Ashley Judd's appearance though brief was quite effective in evoking that sense of loss to humanize Eckhart's portrayal of a U.S. President. This film takes a bold step forward on many fronts. It doesn't shy away from being the first film of its calibre since 9/11 to depict images of national treasures being attacked make that demolished by terrorists. It also reflects a real world threat by casting North Korea as the "villain." 'Fallen' doesn't fail to deliver the goods. Make no mistake, this is an action-pack adrenaline-rush filled movie. There were moments that "Air Force One," "Die Hard," and an episode of "24" came to mind, but hey–its Hollywood. This under marketed-off season-high concept film makes it easy to accept its lack of originality. This is a must-see film. Kudos for a job well done!